Paperback, 6.75 x 9.5 in. / 320 pgs / illustrated throughout / DVD (PAL). 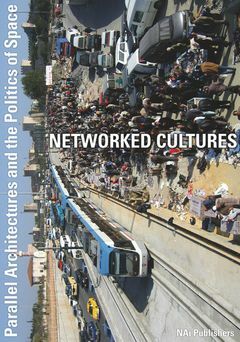 Based at Goldsmiths, University of London, Networked Cultures is a collaborative venture between artists, architects and urbanists that investigates the cultural transformations underway in Europe by examining the potential and effect of networked spatial practices. 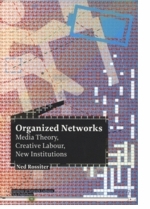 Beginning with the hypothesis that networks have become the defining characteristic of twenty-first century social and spatial organization, this publication traces the development of Networked Culture's multifaceted project. Network creativity is traced by following the routes laid out by artists, architects, urbanists, curators and activists. The interrelationship of space and conflict is investigated by mapping contested international regions, by examining the architecture of conflict and by analyzing models of geocultural negotiation. Numerous interviews, urban interventions, public art projects and architectural experiments gathered from the groups, practices or initiatives encountered during the research provide a wealth of illustrative material. 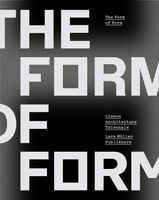 FORMAT: Paperback, 6.75 x 9.5 in. / 320 pgs / illustrated throughout / DVD (PAL).